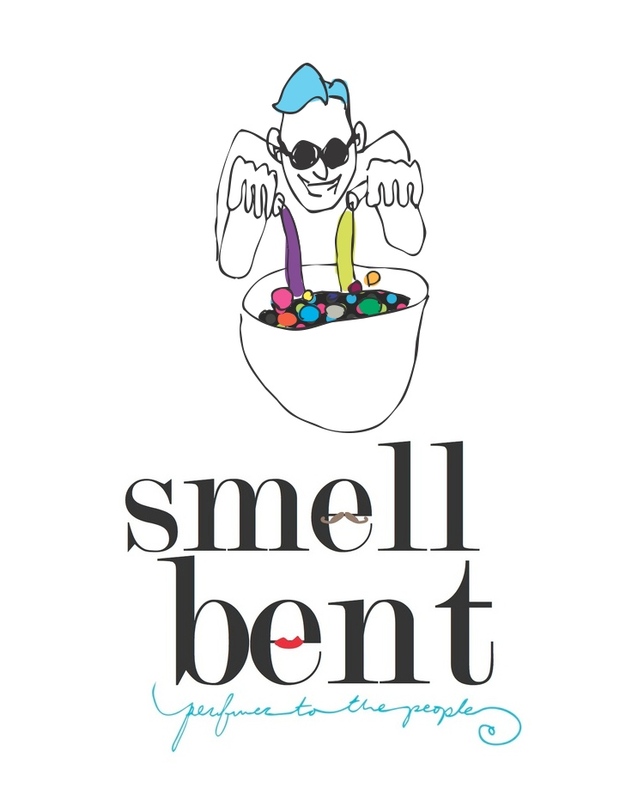 I reckon that I have perused the Smell Bent website, chuckling away at the names, cartoons and descriptions of each scent, about a million times, yet it was only recently that I decided to put in a sample order. Perhaps there was a bit too much choice for my little brain to handle and if I’m being honest I think that might be the case, I wanted to order just about everything but I couldn’t (apparently we’re supposed to be buying a house or something, I don’t know, ask Nigel) and that made me sad. It was actually Freddie of Smellythoughts fame that convinced me to bite the bullet and I’m ever so glad he did because the six Smell Bents I ordered, each of which is like a fun little ditty, have surpassed my expectations considerably. So without further ado I present to you Part 1 of my Smell Bent Speedy Sniffs (with Part 2 to follow next week), I hope that you enjoy reading about these characters as much as I did smelling them. They may be low in price but they certainly aren’t short on quality or fun! Little Miss Panda Gets Lei’d (you’ve got to love that name) is Smell Bent’s ode to the tropical flower and it certainly isn’t short of white hot blooms. It starts pretty sweet as you would expect, it’s also quite green and right from the bat it accurately depicts a tropical lei strung with jasmine, pikake and tuberose. But Little Miss Panda Gets Lei’d is more than just your average, happy-go-lucky blend of sun worshiping flowers. On the contrary, she has quite a bit of depth, namely in the form of a syrupy, almost bitter honey note that tempers the sweetness and puts one on location smack bang in the middle of a tropical island. Now, where’s the speedo-clad male with my Mojito? Bloody weird, that’s how it smells! Violet Tendencies is like nothing else I’ve ever smelled and as the name suggests it is a very violent violet indeed. Imagine dank, earthy violets with little sweetness, now add to those a damp PVC rain mac and something indescribable, perhaps ozonic and you have Violet Tendencies. Violent Tendencies is a curious little thing, it certainly has a bit of an attitude and whilst I find it interesting and amusing to wear it’s not a perfume that I would wear on a day-to-day basis, perhaps because it really is quite challenging. That said it is more than just a novelty and I can imagine that serious fumeheads would find it to float their boat to a more than satisfactory degree. It’s difficult to write a review of Chile Vanilli, simply because it’s not easy to type one handed, wrist pressed firmly against one’s nose. That’s right, this stuff is addictive and huffing away at it constantly does not encourage productivity. Sometimes in life, and in perfumery too, the simple things are the best. Chile Vanilli is a straight up creamy, gourmand vanilla spiced up with cinnamon. It’s deliciously soft and has a subtle, but very much enjoyable pastry facet that gives it that little kick of something odd to keep it interesting. It is by far my favourite of the bunch I have tried and if I were to splash out on a full bottle Chili Vanilli would be the one. Each of the Smell Bent fragrances are available in 5ml & 8ml Perfume Oil and 4ml & 50ml Eau de Toilette, with samples available too. Prices range from about $3-$45 and currently Smell Bent is offering free shipping on their website right up until Halloween*. Have you had any experience with Smell Bent? What are your favourites in the line? Isn’t Brent just the cutest….? Images, quotes and notes via smellbent.com. * I am not affiliated. Posted in Floral, Gourmand, Leather, Smell Bent and tagged Brent Leonesio, Chile Vanilli, Floral, Gourmand, Leather, Little Miss Panda Gets Lei'd, Niche, Smell Bent, Tropical, Unisex, Violet Tendencies. Bookmark the permalink. OMG!! Brent Leonesio!! Faint! What a hottie. I love the Smell Bent’s. Did you grab any of the Sunset People frags. I have them here awaiting their turn. I was hoping for early next week. Hehe, he’s a cutie alright! Funnily enough I was looking at the Sunset People collection yesterday, I’m very tempted by the sample set. I shall look forward to your review. Agree, Brent “is” the cutest !!! Great fun review! Yay! 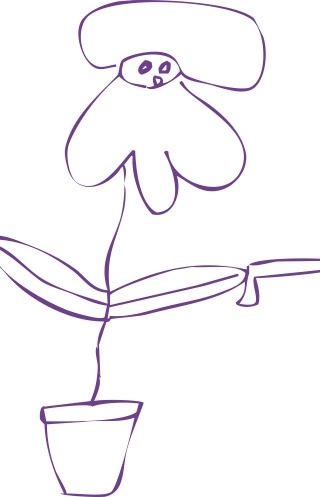 I am a big fan of SmellBent perfumes, and yes he is very cute indeed!!! I have yet to try the entire range, but what I do have full bottle of is Prarie Nymph ~ Honey, beeswax & carnation, & St Tropez Après Soleil ~ musky jasmine but smells alot like creamy gardenia, very sultry combo. Both are very natural smelling indeed, long lasting with excellent projection. Now I’m off to order some more .. Thinking panda gets leid. Oooh St Tropez Après Soleil sounds fab! Definitely try Little Miss Panda Gets Lei’d. You’ll feel very tropical indeed. Miis Panda sounds yummm, gotta try that one. Oui! I shall be seeing you there I presume? YES! I’m doing a lil shopping in the city before and for the friday morning. Fancy a sniff around town before or after the event? Yes, absolutely! I am awaiting to hear back on a leave request from work so if that is approved I shall definitely be able to! Awesome. Yeh I took two days off for it, didn’t wanna miss out on another event. And it’s a great excuse to spend some money 😀 Cool man, I’ll get in touch with your nearer the time. Any excuse to spend money! Sure, I’ll look forward to it. I’ve seen the name Smell Bent around forever but never found out a thing about them so I was glad to read your post. Love that the perfumes are available in small sizes and at affordable prices. Things we appreciate! I am a bit obsessed with vanilla at the moment so I’m intrigued by the sound of Chile Vanilli. Not fond of cinnamon though. I read up a bit more on Brent – not that I was encouraged by all the hottie remarks, mind 🙂 – and love that he fell down the rabbit-hole because he was doing an internet search for a cheaper alternative to Bois d’Encens. One of us for sure! I was the same as you Tara, I’d seen them about but never made the effort to get samples. Silly me! The cinnamon in Chile Vanilli isn’t Cinnamon with a capital C. I can bring it with me to the iris night so you can try it. I’ve tried a few of the Smell Bents myself, with Chile Vanilli and Bollywood or Bust being my favorites. Violent Tendencies was HORRIBLE on me, but kudos for the experimentation. Thomas, did you know that Chile Vanilli is being discontinued? I’ve been debating picking one up, and the price is amazing, but I really don’t need 50ml of it. Do you think we could convince Brent to do a 15 or 25 ml size? No way?! That’s not fair! Maybe this is a case for the FFF split board? I’m far to disorganised to host a split lol! Perhaps we could badger someone else into it? I’m so jealous that you got to meet Brent, he seems like he has a great sense of humour! I totally get the ELDO reference and agree that Smell Bent is a little bit more fun and less snarky hehe. So funny! I also just ordered from SmellBent after contemplating it for many moons. I got the Sunset People collection and am still working through it. How is the Sunset People collection? It looked great! So far I have tried just two of the set. I kinda have a sample backlog going on right now. Lady Gogo is a very citrusy floral, very fresh and easy to wear, with kind of a light woods drydown. Mirror Ball is really great. I get smoke, hyacinth, and jasmine. I love, love, love the top and heart with the florals. Drydown is smoke/musk/dusting of incense. Really good. Thinking it might be my favorite of the collection, but we’ll see. A promising start! I have to admit that Disco Nap and Walk of Shame attracted me most out of the collection but your description of Mirror Ball has me intrigued.